When? Thursday, November 16 th, 5:30pm-6:15pm EST. Blue Sky Endurance Coaching powered by TeamKattouf® will be hosting a teleconference and Q&A. The teleconference will be led by 2x best-selling author and CEO/Founder of TeamKattouf®, Dr. Rick Kattouf II. We will be discussing training and nutrition and we will get all of your questions answered about endurance training, strength training, racing and nutrition. If you are a runner, triathlete, cyclist, etc., this Teleconference and Q&A is for you. We want to help assist you in putting together the best winter training ever so that 2018 will be amazingly productive. No matter what your goals and no matter what your fitness level, join us for this exciting Training and Nutrition Teleconference and Q&A. -There is no fee to join this Teleconference. 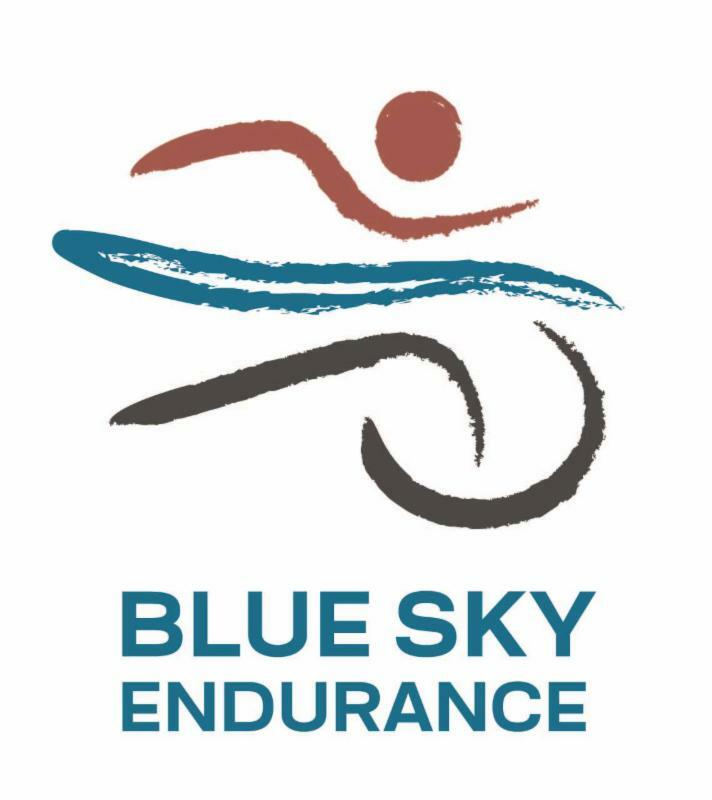 There are only 20 spots available, so be sure to contact Blue Sky Endurance today to reserve your spot! Brr it's cold outside...okay not really here in the Lowcountry, but it's definitely 'colder' than it was a few weeks ago. 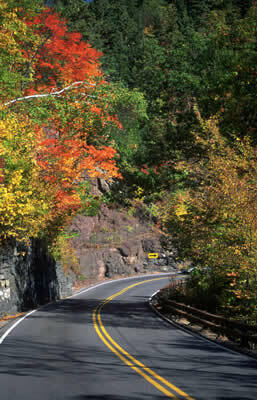 And even though winter will be here before we know it, we're lucky we can ride our bikes all winter long. Yes, you heard me, all winter long. Now is not the time to take the 'off-season' as a totally off-of-doing-everything season. There are a lot of options available to keep you on your bike, either outside or inside, so you can continue to work on your cycling skills and be ready to crush race season next year. When thinking about winter riding - or really riding any time of year - the first thing you should consider is the weather condition -- cold, hot, raining, or windy --You will need different types of clothing for these very different conditions. In general when it's cold it's important to keep your chest, knees, hands, and feet warm. Keeping these areas warm will help keep the rest of you warm. 2. Knee warmers - this is another versatile piece of clothing that can be taken off when the temps start to warm up as you ride. It's important to cover you knees as you start a chilly ride, especially if you're older. I know another ding of us old folks. 3. Toe covers - these are a great addition to your cycling gear as they are great almost all winter here in South Carolina. That added bit of protection against the wind and cold will hep you enjoy you ride and not focus on that warm up of coffee waiting for you at the end of the ride. 4. GOOD cycling gloves- full gloves will keep you help you feel you fingers and hand the entire ride and not want to cry from the intense pain from the cold. The best gloves are wind resistant too. We want you smiling, not crying as you ride around the low country. It looks better for all the tourists and keeps us high on those awesome city lists. Happy Riding all! Unless you're reading this and you think "No way am I ever riding outside when it's cold". Luckily we have a solution for you too. Get a great indoor bike trainer and you'll stay on top of your game all winter. Come in to the store and try out our Wahoo bike trainers like the KICKR or the SNAP. Dan Dan he's our man, if he can't win it nobody can! The winner winner this month is DAN JONES. 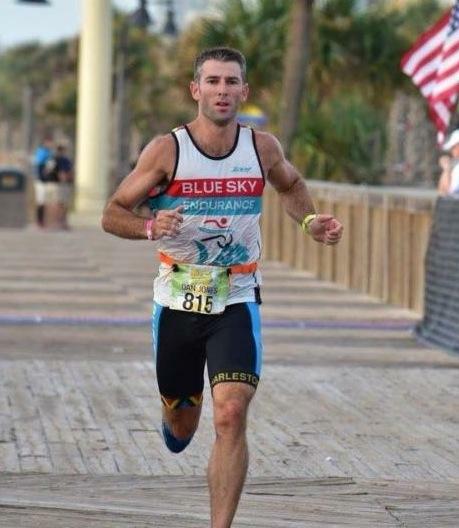 Dan trained through the hot, soupy Charleston summer to have a great race at the Kiawah Olympic Triathlon, THEN turn it around 2 weeks later and PR by almost 3 minutes at the Myrtle Beach Mini Marathon! He also won 2nd in his age group. Holy cow. Congratulations. You are our star for the day. Don't forget to stop by and get your free prize. Not a runner? No problem, we have you covered too! Gravy = 50 burpees -- you'd better enjoy it! And there you have it. It looks like you're going to be busy on Thanksgiving! Have fun. No, you can't buy Matt, but he's here for you when you need him! And boy do you need him! He raced Mountain Omnium at the collegiate level and has 10+ years of experience in the industry, including 5 years full time in service management. And get this, he is United Bike Institute CERTIFIED - a true rarity I'm told. I'm also told that's a big deal. I do as I'm told (no I don't, who am I kidding). But I do what Matt suggests when it comes to taking care of my bike. You really need to come in and get your bike serviced. 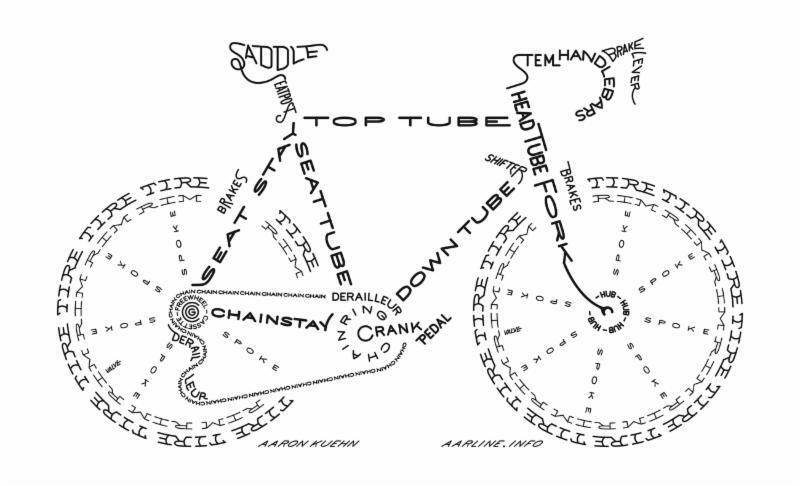 We offer general bike maintenance as well as a basic and deluxe bike tune ups. Can't wait to see all those fancy bikes come rolling in to our store!